Zoo official Liang Kaspe said the lizard was found dead in its cage in the morning and it was still unclear what the cause was, adding that it may have ingested some kind of poison. 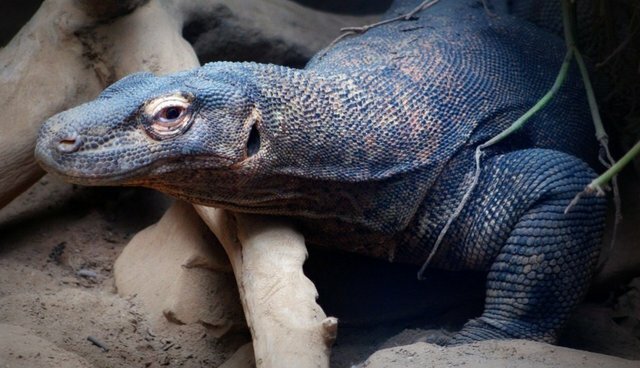 The news comes after another Komodo dragon -- a species listed as "vulnerable" by the IUCN -- died last February. And these two are only a few in a long string of disturbing deaths to occur at the zoo of late -- between just July and September of last year, a total of 43 animals died at the zoo. Many of them also died under horrific and disturbing circumstances, like the young lion found hanged in his enclosure, or the giraffe with plastic lining her stomach or the tiger fed with meat laced with formaldehyde. The Surabaya Zoo, called the "world's cruelest zoo" has one of the worst animal welfare records in the world, and lost its license in 2010 after the disturbing deaths of several rare animals. Join us in calling on the Indonesian president Susilo Bambang Yudhoyono to close the facility and release, retire or rehabilitate the 2,800 animals living there.